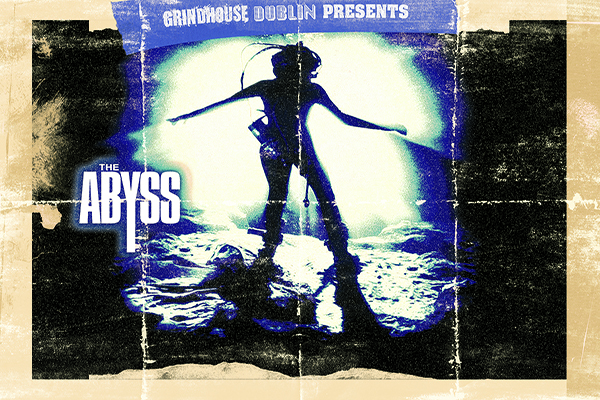 Grindhouse Dublin - Exploitation Cinema In Dublin: Grindhouse Dublin Competition: Win a signed copy of Asylum signed by John Carpenter! 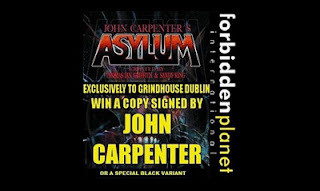 Grindhouse Dublin Competition: Win a signed copy of Asylum signed by John Carpenter! Grindhouse Dublin in association with Forbidden Planet Dublin is delighted to announce the competition of the year! Open to all ticket holders attending John Carpenter’s Escape From New York on June 28th at Light House Cinema. A signed copy of the new graphic comic ‘Asylum’ by the Master of Horror himself John Carpenter! The competition will be held on the night with the winners details forwarded to Forbidden Planet where the signed copy will be sent to the lucky winner in July after it ships from the U.S.A. Two runners up will each receive a copy of the comic! See you all at Escape From New York, and good luck Grindhousers! Click here to buy tickets for this event!